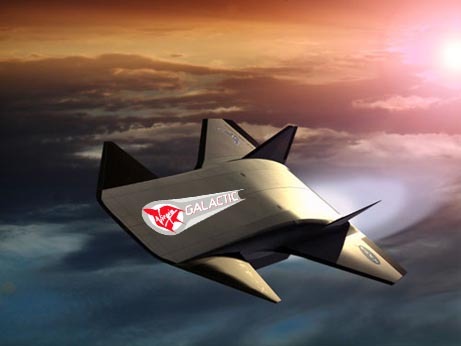 Virgin Galactic + NASA = Spaceplane | OhGizmo! Virgin Galactic, the company that successfully launched SpaceShipOne (with Scaled Composites) and is working on SpaceShipTwo (for which you can now book a 2009 flight at $200,000 a person, round trip of course), has entered into a joint venture of sorts with NASA to develop hypersonic commercial transport technology. Hypersonic generally refers to speeds of Mach 5+, or 3,500 – 4,000ish mph depending on altitude. That’s potentially London to New York in under an hour. As a past (and let’s hope, future) beneficiary of NASA grant money, I can say from experience that while NASA has the will, when it comes to the way, they’re notoriously stingy with research funding. Here’s hoping for my own corporate sponsor… Any British billionaires out there interested in Martian impact cratering? There are 2 new DIY test kits…one lets you test air, surfaces and water for MRSA/VRE…the lab that tests the sample emails you a report about what it found…and finally the technology used by NASA in the Space Station to keep its air clean and free of MRSA is available for home use…the other kit uses Petri Dishes to test indoor air for germs, virus, mold, etc. which is good for asthmatics and allergy sufferers…I guess you could say it’s good for anyone who breathes. I’m working on reintroducing the world to Burnelli and his designs. Join me by going to aircrash.org, learning his story and sharing it with others. Nice pic. when I can buy ticket for this. Really wonderful.